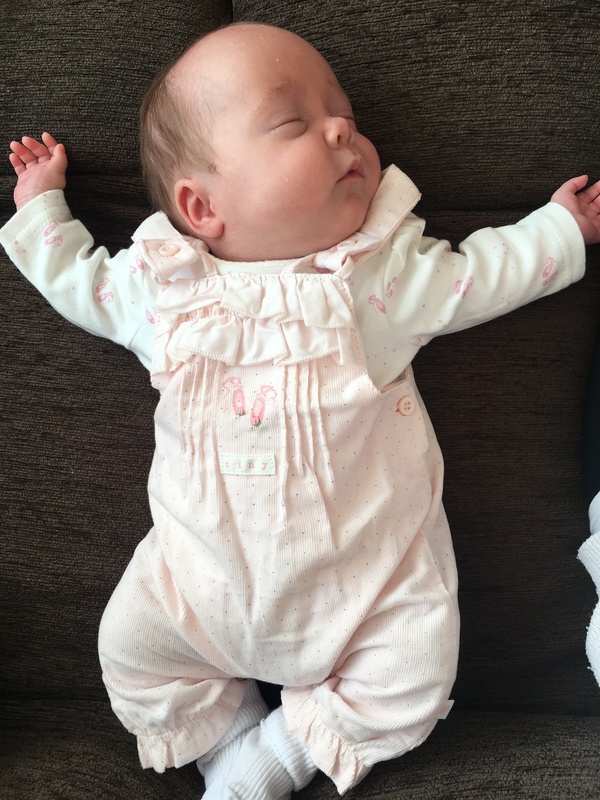 The family of a baby who spent the first 64 days of her life on oxygen are offering a free week’s holiday in Spain to raise funds for a unit looking after Hull’s sickest babies. Frankie Rolfe weighed just 2lbs when she was born early at 26 weeks and was cared for by staff at Hull’s Neonatal Intensive Care Unit (NICU). Now, her parents Linzi and Andy, who live in Sutton Park with Frankie and their three-year-old daughter Eva, are raffling a free week at a villa in Spain to help raise funds for the unit based at Hull Women and Children’s Hospital. Linzi, 32, said: “We wouldn’t have been able to bring Frankie home if it hadn’t been for the amazing human beings that work on NICU. Linzi, a nursery nurse at Busy Bees Day Nursery in Beverley, started experiencing contractions when she was just over 25 weeks pregnant and was given medication to try to halt the contractions. She was also given steroid injections to strengthen her baby’s lungs. She was kept in hospital for a few days before being allowed home but just days later, the contractions started again. This time, her labour couldn’t be stopped and she gave birth to Frankie, who was immediately whisked away to NICU to save her life, placed in a special bag to keep her skin moist. “It was just an awful experience,” Linzi said. “I was blaming myself because, even ‘though I hadn’t done anything wrong and didn’t smoke or drink during the pregnancy, I felt like I had let her down. With Linzi and Andy by her side, Frankie was put on a life-saving ventilation in the Red Room and had jaundice and then suspected sepsis twice. She was diagnosed with chronic lung disease when she was 28 days old and was kept on oxygen until she was 64 days old. Ten days later, when their daughter was 74 days old, Linzi and Andy were finally allowed to bring Frankie home to start life as a family of four. Linzi said: “I did wonder if Eva would be jealous because me and her dad obviously spent a lot of time at the hospital but she’s been absolutely brilliant. She loves Frankie. “Although Frankie’s got chronic lung disease, we’ve been told she is likely to grow out of it by the time she’s two. The couple decided to fundraise for NICU after hearing how the unit used public donations to create comfortable facilities for parents so they could stay with their babies and for extra pieces of equipment like a special incubator described as “the next best thing to the womb”. They are also selling raffle tickets for a week’s holiday at a villa in Spain, with tickets costing £5. They will be on sale at the fun day or people can sent Linzi a message on Facebook with their name and address and pay through the Just Giving page. Although the couple set a target of £500, they have already raised £850 and now plan to keep going to raise as much as possible for the unit. Linzi said: “We didn’t expect to raise as much as this so quickly so we’re delighted.